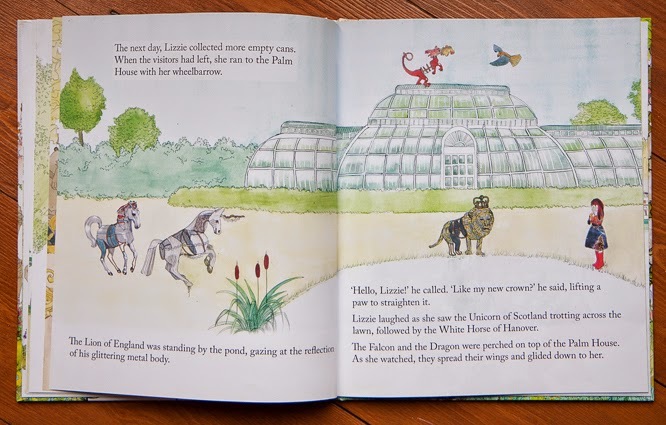 We discovered this book back in the summer on a visit to Kew Gardens. Well Coco and her friend Scarlet discovered it first - I found them sitting in the shop reading it together when I'd been distracted by something (the shop at Kew often has that effect on me). 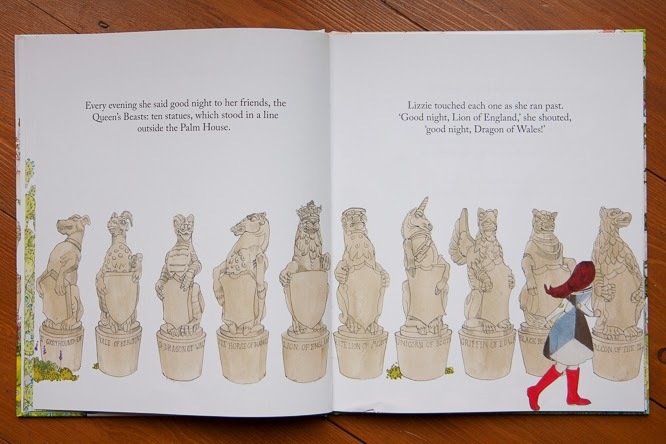 The story is about Lizzie who lives with her parents in the grounds of Kew Gardens so she gets to explore in the evening after all the visitors have left... 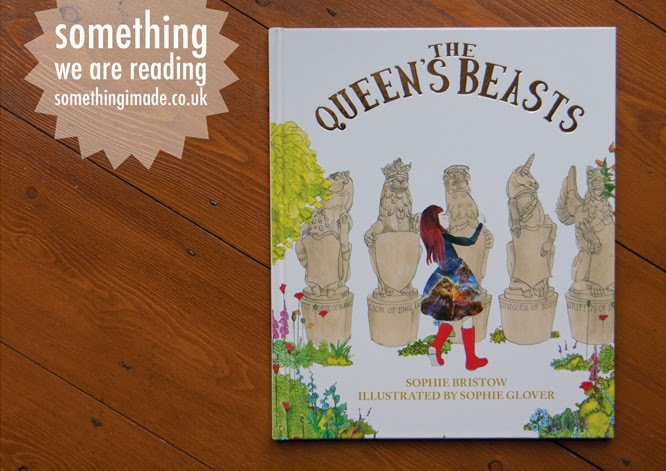 The Queens Beasts of the title are statues which Lizzie might have something to do with bringing to life (or she might not - don't want to publish any spoilers)! As we spend a lot of time at Kew many of the scenes are very familiar to us... 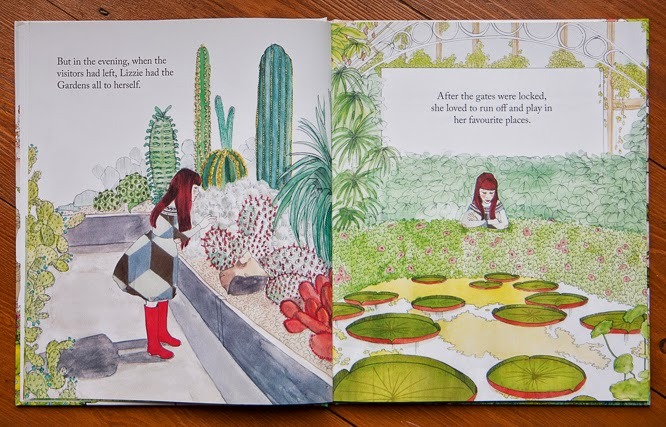 I'm pretty sure those cacti are in the Princess of Wales conservatory for example and I love the waterlily house, there is something about those leathery leaves and giant flowers... also seeing them reminds me of when Henry used to call lilypads i-lilypads. The illustrations are quite intriguing being partly made with collage - very much in keeping with the story which has quite a few themes running through it. It's a good one to appeal to both Coco and Henry at the moment. Me, my Mum and my brother standing by one of the Queens Beasts, which to be honest I'd never particularly noticed before. 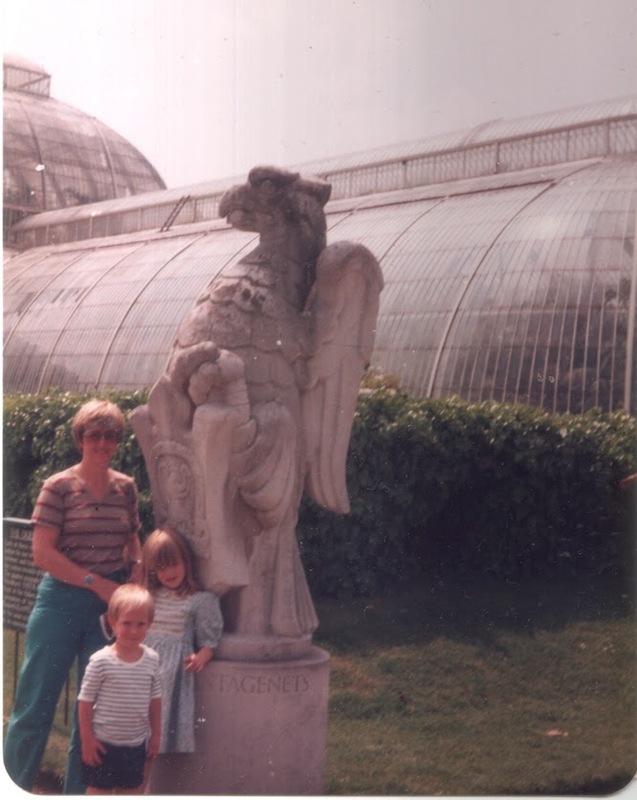 This photo, taken by my Grandpa on a trip to Kew with us must be circa. 1981 (total guess... I think I look about six or seven)? Me, Coco and Henry, Summer 2014. What a difference 30 odd years makes eh!? 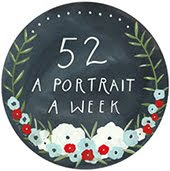 I love seeing old family photos replicated. Looks like a lovely book. 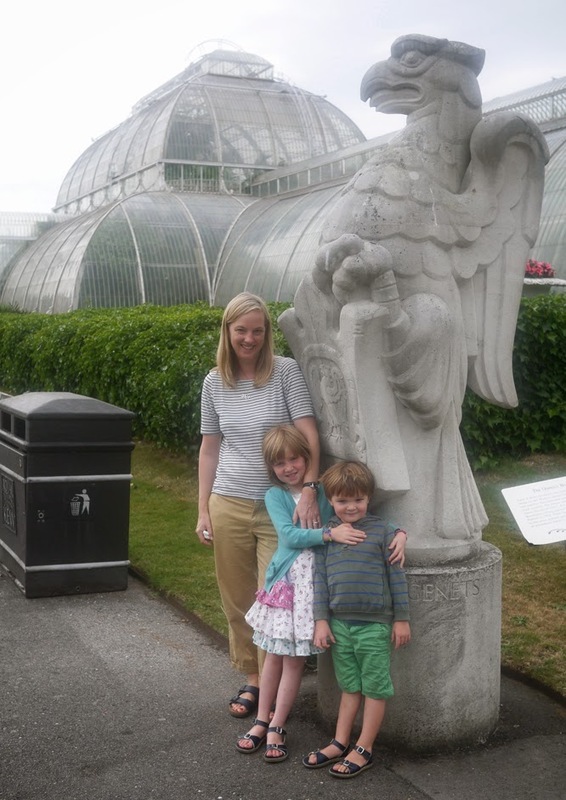 You absolutely have to introduce the kids and I to Kew sometime soon.